Kanags Surendran (pictured), managing director and head, digital banking at CIMB Group Holdings, has taken on the new role of managing director, head, transformation where he will lead the newly created transforming customer journey (TCJ) team. In a statement to A+M, Gurdip Singh, group chief strategy and design officer, CIMB Group said TCJ was launched on 1 January 2019 to complement the customer experience unit from “a design thinking and analytics perspective”, Singh said. The customer experience unit was rolled out in 2016 and led by Manpreet Tevjir Singh, managing director, head of group customer experience management. Both units report to him as part of a broader reorganisation which aims to put the “wow” into its customer experience efforts over the next three to five years. According to Gurdip Singh, TCJ will reassess the products and services offered by CIMB through a customer-centric lens. In doing so, the team will be designing end-to-end customer journeys using zero-based design principles and leveraging on current technology. He added that this endeavor will be executed in close collaboration with the business, technology and operations teams in an agile manner. 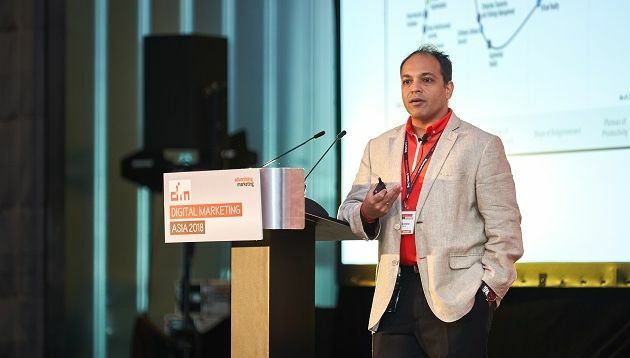 According to his LinkedIn, Surendran helmed the role of managing director and head, digital banking for approximately four years, during which he was responsible for transforming the digital banking experience across Malaysia and ASEAN. He also oversaw digital experience, product management, innovation and the market development of CIMB’s digital footprint. Prior to joining CIMB, Surendran was with Standard Chartered Bank where he last helmed the role of head, retail digital channels. He spent more than seven years with Standard Chartered Bank. Surendran has also worked at Knowledge Platform and Infosys Technologies. “Customer centricity will always be at the heart of CIMB. It is a key focus in our next mid-term strategic plan. The entire firm is united in ensuring that customers are at the core of everything we do,” Gurdip Singh said. He added that TCJ, working alongside the existing customer experience unit, will drive a focused effort on a holistic redesign of customer interactions leveraging new technology, design thinking, data analytics. “With Surendran’s previous role in building our digital banking platform, his strong technical experience and Manpreet Singh’s experience in customer experience enhancement and delivery, we are focused on driving these transformative efforts to help us achieve our customer experience objectives,” he added. Are you maximising your chatbot investment? His last role was with Lagardère Sports, which he took on after three years at Levi Strauss. ..
Logan Paul’s documentary addressing suicide forest saga: Yet another PR ploy? According to Paul, the documentary would explain where he was at in his life, and the “psyche of what actually happened”. But not ..